Moore’s was one of several gripping stories told by women first responders from around the world at this year’s 60th Commission on the Status of Women (CSW), hosted by the United Nations and ActionAid from March 14 to March 24 in New York City. The panel, “Women as First Responders: Featuring Testimonies and a Visual Gallery Elevating Women’s Voices in Humanitarian Action,” took place on March 15. Each of the women on the panel was soft spoken but firm about her passion for her work. All told stories about the lack of resources, inexperience, and heartbreak they had experienced. They also emphasized the importance of valuing the roles of everyday women in disaster planning, management, and response. Women first responders have been all but absent from the stories we hear about emergency response work, which traditionally focus on the role of police officers, firefighters, emergency medical technicians, and other stereotypically male figures. By describing women as the first (and sometimes only) responders, this year’s CSW provided a different narrative. In the case of Liberia’s Ebola emergency last year, the government was forced to close schools for six months to help curb the spread of disease, leaving children without a way to continue their education. Moore, a human resources specialist and mother, decided she could not let Ebola keep the children of her country from learning and growing. 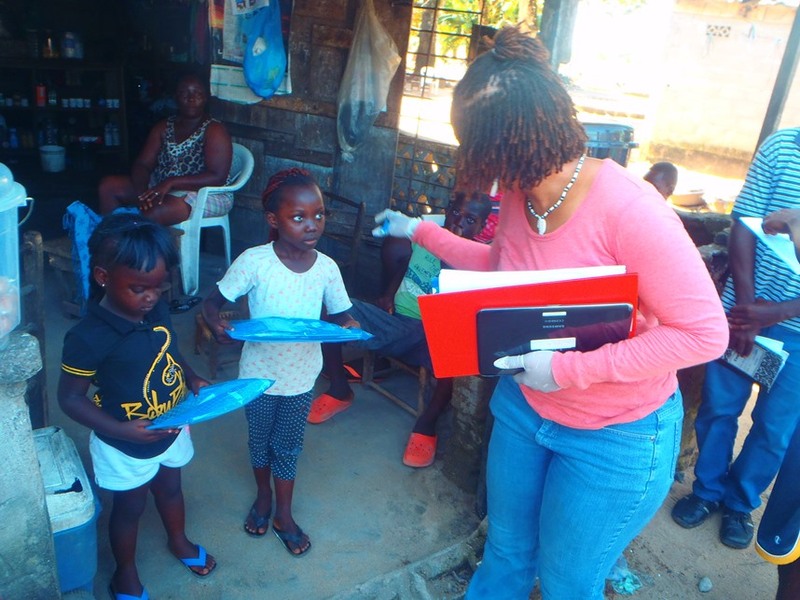 Her organization, the Kids Educational Engagement Project (KEEP), took action and delivered door-to-door educational materials, eventually reaching over 7,000 children throughout the country. The organization has since expanded to provide a range of support to Liberia’s educational system, and is currently completing a free computer literacy lab for the country. While women often help others in crisis, they are also frequently the victims of catastrophic events. On average, women and children make up more than 75 percent of those who are displaced by war, hunger, persecution, and natural disasters. Those women who were already impoverished and vulnerable before crisis struck, as many are, are at even higher risk for sexual exploitation and violence. As the victims of crisis, women have unique perspectives that can inform their work as first-responders. Mary Jack Kaviamu’s experiences in her home country of Vanuatu are a testament to this. Kaviamu spent much of her career with the country’s provincial government, as well as with the Pacific Institute of Public Policy, an independent think tank dedicated to supporting and stimulating informed policy debates for the Pacific Island community. After running unsuccessfully for a local government position in Vanuatu’s recent elections, Kaviamu became manager of ActionAid’s Women Talk Together Forum, where she continues to advocate for gender empowerment. “Tradition in my country and culture has become a barrier in all [levels],” Kavaimu observed during the CSW panel. Researchers with both UN Women and the Institute of Development Studies have found that involving women in humanitarian programs helps reduce gender inequalities, improves access to services, and increases the effectiveness of humanitarian responses. Despite all this, women often run into structural and cultural obstacles that make it difficult to participate in humanitarian action. “In my country, women have no political representation in the parliament, which makes [it] difficult for women. Public decision is [a] male space with no women participating,” said Kaviamu. Panelists also highlighted the overall importance to their work of women’s empowerment. “I am a living example that women can be first responders and key players in humanitarian response, provide innovative solutions and that community-lead responses can be led by women,” said Moore, who still works as a human resources professional while running KEEP in her free time.